August 7th-9th 2015: The First Tiny House Jamboree in Colorado Springs, CO. Event organizers expected a turnout of 10,000 people. 40,000+ showed up, representing all 50 states. The biggest takeaway? People want to live tiny, legally! AND there’s a very real desire to live in tiny house communities. and Kai Rostscheck, mover & shaker behind I Love Tiny Houses, Tiny House Lending & Tiny House Dating. The stars aligned and we first met at the Tiny House Jamboree. Love at first sight? Maybe; definitely an instant friendship. We made a powerful connection over our shared passion for tiny housing and helping others achieve their tiny house dreams. Our collaborative co-production was born! 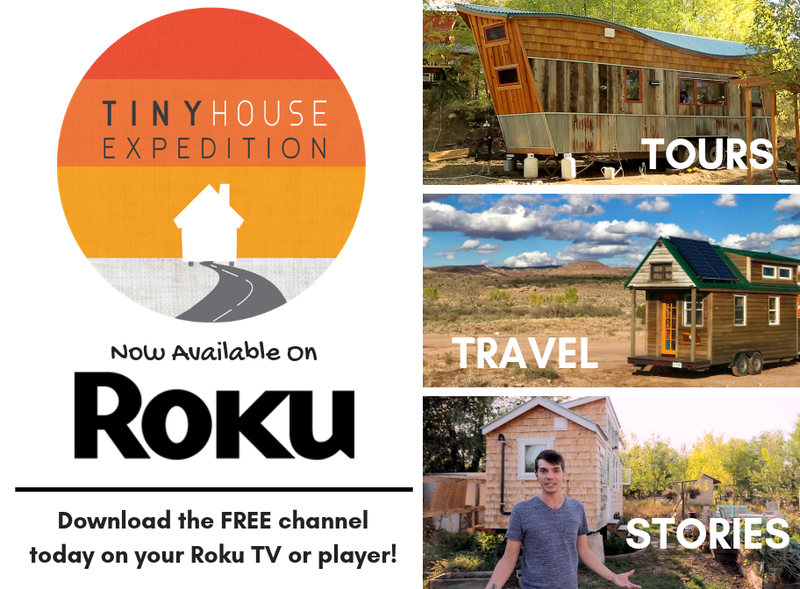 We are traveling the country to create a documentary series featuring case studies; exciting examples of how a handful of cities from all over the country are making legal tiny house communities a reality. We’ll talk with founders and city officials representing these ongoing projects, in both urban and rural settings. We’ll ask city planners about local objections & potential solutions, to zoning issues, safety certifications and more. These communities are in various stages of development and each represents a unique kind of arrangement, but many of the issues and opportunities are similar. Ultimately, we’ll determine why each city said “yes” or wants to say yes, to Tiny Housing, if the right conditions can be met, of course. This documentary will be YOUR FREE resource, to help YOU, the people that want to live tiny, live tiny legally. Our goal is to legitimize conversations about legal Tiny Housing and to provide a proactive, illustrative resource for those seeking to bring tiny houses to their city but don't know where to start. We’ll be interviewing the policy makers themselves, and sharing the entire documentary for FREE on YouTube. What We Need! What You Get! We are looking to raise $39,471. That sounds like a BIG number, though it ONLY comes to 494, $80 contributions. WOW! That means if ONLY 500 of the thousands tiny house enthusiasts give us around $80, we'll be good to go! Our time for crafting a top-notch documentary on this expansive subject matter. That means hundreds of hours of labor. Producing: heading up the production from development to completion; includes many tasks like research, phone calls, emails, scheduling, budgeting, problem-solving & more. Editing: time-consuming, extremely detailed, skilled work & incredibly crucial to effective storytelling. Our travel expenses to reach our subjects, from the East Coast to West Coast, from North to South. Our equipment needs to make this the most professionally shot film it can be. The message of this documentary will be most impactful if the sound & video quality is top-notch. We just need a few key yet pricey items. Want to donate equipment? Please do! Happy to provide our list. If we don't reach our goal, we will use the funds we do raise to shoot the documentary in stages. Do you love tiny houses? Of course you do! Check out all the amazing perks from movers & shakers in the tiny house movement & across the industry... from plans for multiple beautiful tiny homes to hands-on building workshops, PLUS how to DVD's, insightful consultations, inspirational reading, tours of tiny houses & tiny house communities AND MORE! The FIRST 100 contributors to give $20 will receive FREE admission to the NATIONAL TINY HOUSE JAMBOREE plus a rad Jamboree t-shirt ($45 value). 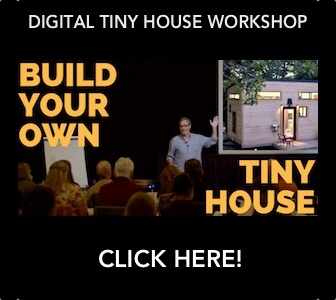 Matching Funds Special from our friends at Tiny House Build: Your contribution will have double the impact! Andrew & Gabriella Morrison are matching donations up to $500. Tis the Season of Giving: donate on behalf of a loved one and we'll send him or her the perk as a gift from you! Did you know that tiny houses aren’t legal in most places? Most cities don’t know how to treat tiny houses or where to put them? No definitions exist and no guidelines for zoning or safety regulations either. We’re committed to changing this by enrolling the support & telling the stories of communities who have already figured out, or want to figure out how Tiny Houses can work for their residents. 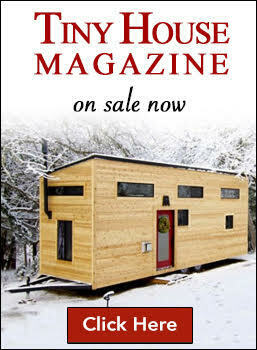 Across the country, individuals are approaching zoning & planning departments with ideas about developing “Pocket Neighborhoods", renewing RV parks and converting them into “Tiny House Friendly” villages, utilizing available land for "Infill Micro-Communities" & Tiny House Backyard Cottages/ Accessory Dwelling Units (ADU's) and more. To enthusiasts, Tiny House living makes perfect sense. But municipal planners, responsible for zoning policies, safety regulations, long-term preservation of social standards and even taxation, have legitimate concerns...especially regarding Tiny Houses on Wheels. This is personal to us. Alexis & Christian live full-time in a tiny house on wheels, our home, and Kai is actively working towards his tiny house dream. Like many of you, we seek an intentional way of life, rich with meaningful experiences, freedom from many financial burdens, renewed appreciation for the simple pleasures in life, and stronger connections with our surroundings & our community. At the Jamboree we realized there’s big, beautiful, warm & growing tiny house community, made up of motivated folks from all over the country. If we learned anything at the Jamboree, it’s that people thrive on community support. Our project is our way of offering community support to YOU. There’s a mountain of potential obstacles & intimidating bureaucratic systems to wade through on your path to legal, tiny housing. Help us, help YOU, and let’s build community together! There's power in numbers. Help us make a grand ruckus! Share this on any & all of your social media pages: Facebook, Twitter, Google Plus, Instagram, etc. Share this on your website, blog, newsletter, etc. We are the tiny house tribe, and we can make a difference together. P.S. Interested in contributing an additional perk to this campaign? Please contact us at info@tinyhouseexpedition.com.